In roulette, experts used several methods to cheat, but not even they were exempt from being cheated. One must be very dedicated to using tricks and roulette tips, and must have significant help from inside. However, casinos don't allow anyone to have a too big win. They figure you out and then you can easily end up in prison. In what follows, we present you some methods used till very recently in deceiving at roulette. It is that of the magnets fixed on the four coins of the table, in order to act on the wheel. Inside the ball there was placed another one, made of steel. The croupier could control the ball by secretly activating the magnets. The ball was driven away from the high bets or numbers. These magnets could also be placed in the pockets. Gravitation attracted the ball towards one of the pockets. The scammed balls were alternated with the usual balls, depending on the wagers. Nowadays, there is no casino that would use this technique and risk its enormous profit, just to cheat the patron. It is the one consisting of secretly altering the wheel. 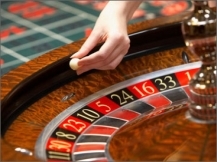 In the past, there were many courageous players, who would furtively enter the casino after closing time, and would tamper with the roulette wheel. They tried to make the ball enter easier into the pockets, by making them stickier with different substances. They also put under certain pockets all kinds of materials, to influence the hit of the ball. It is the swinging of the ball. Casino owners used this kind of cheating. Beneath the rim, the upper part of the ball track was drilled. A pin was placed underneath the hole. The croupier could activate the pin by using a lever, placed under the roulette table, to force it against a spring. In this way, the ball tripped from its natural course and changed the outcome. It is delaying the bet, or changing it in the last minute. This cheating requires skilled hands and maximum attention. The scheming player needs just the one moment, when the croupier is bent forward in order to see the number on which the ball lands. He can move his bet on the right number, or remove a few of his chips placed on a losing number. It is hard not to be cut cheating, knowing that the croupier has already a keen eye for this scam. It would be that of controlling the ball. This is not a proven scam, yet many players fear that the croupier controls the ball's landing with just the right throw. Those who worry should place their wager after the spinning of the wheel.